Mix all the ingredients (except the shrimp) until well blended and smooth. gently fold in the shrimp. Serve with chips, crackers or breads. Mix the softened butter and Tradition spice blend together. The flavor will improve if made a day ahead. Try with corn on the cob or other cooked vegetables. Prepare the rinsed and cleaned calamari for pan frying by cutting smaller tubes into rings. If using the larger squid cut open the the mantel and flatten on a cutting board inside up. Score the the squid with very slight 1/2 inch widen cross hatch cuts, then into large bite-sized triangles. Dredge the pieces in the flour, shaking off any excess, then in the liquid, then in the corn starch. Heat the skillet to a high heat stir fry the calamari for two to three minutes, until just starting to brown and not translucent. This is a lightly breaded style of calamari. Transfer to paper towels to drain. 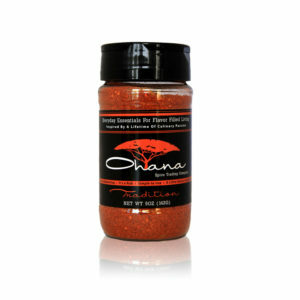 Sprinkle with sea salt, black pepper and the Tradition spice blend.  As a salad topping with a lemon dressing or vinaigrette. Preheat a large skillet to medium hot and add 1/4 inch of olive oil for frying. On a plate or in a wide bowl mix the panko bread crumbs and Tradition spice blend. Rinse and pat dry the chicken breasts. Dredge each breast lightly in flour, then the milk and finally the seasoned panko crumbs. Discard the used ingredients when finished. Place chicken breasts in the hot skillet without crowding and brown evenly on both sides.  A great meal when served with coleslaw and potatoes. Cut the French bread in half lengthwise. Butter the cut side of the loaf, sprinkle the parmesan cheese and Tradition over the top and put on a baking pan. Place under a broiler or bake at 400 degrees until the cheese starts to become brown and bubbly. Cut into serving size pieces.  Serve as a side or appitizer. Stir well! Great with tortillas, crackers or Chips.Best made a few hours in advance and chilled. Serve as a side dish.  Olive oil can be use instead of butter.  Fish can be sauteed in a skillet.